Hello and welcome back! 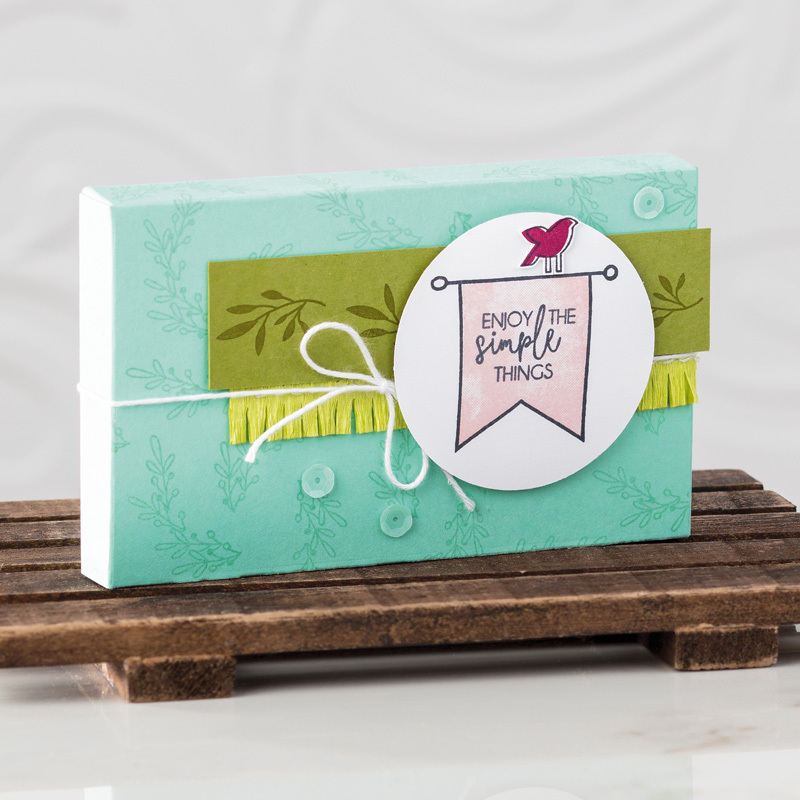 It's time for this month's Fancy Friday Blog Hop! I'm here with my fancy friends (all current or former members of the Stampin' Up! Artisan Design Team)! 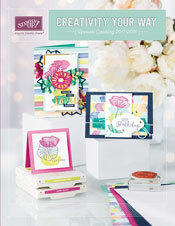 The challenge this month is to case the Occasions Catalog. We're featuring several projects from the current Occasions Catalog that we have copied. You're in for a creative treat, so be sure to circle all the way around the hop. We also have a Pinterest board that you can follow. You might have just arrived from Cindy's blog. Did you see her fun project?! This a box (I think) that I chose to case. It's simple, but sweet. And here is my card. I cased what is a box I think from page 54 of the catalog. It had a little strip of ribbon, a piece of stamped paper and a stamped background. Plus, I loved the addition of baker's twine and sequins, two of my favorite embellishments! Ok, on to the next stop with my good friends Sue Plote!